Bowser has been defeated, and Princess Peach is safe. Your little plumber will be running around on Halloween, interrogating neighbors that are handing out candy about the location of Princess Peach. 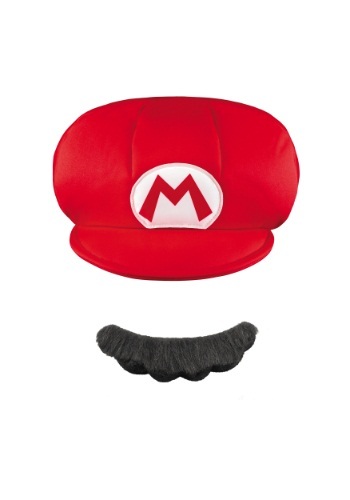 This Mario Child Hat and Mustache making them look exactly like the Italian plumber from the games. You kind of want to give them a Big Mushroom and see if they grow 3 times their normal size for a minute. But, that would also be really freaky to see. So, instead just let the tiny plumber look for Princess Peach and beat the evil Bowser. "So long-a Bowser!"